Where are we in our multicultural ministry in our Synods, Presbyteries and CALD communities? and tell us about the multicultural happenings around the country. Please feel free to raise issues that you’re passionate about in being a church that identifies itself as multi/cross cultural. One of the goals for our Circle this year is generate more activity on our Facebook Page. There are many multicultural events taking place in presbyteries and congregations. We need to use the available portals to share these experiences and inspire cross cultural living. I invite all our circle members to share more videos, photographs and stories from our members and churches. 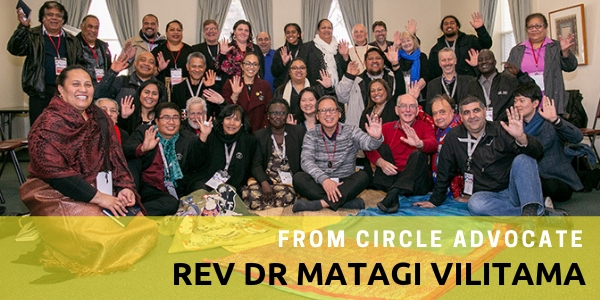 The goals for our Circle in 2019 include supporting collaboration between National Conferences on common issues and helping the Assembly Resourcing Unit to collate resources, not just for CALD communities but for the whole church. The Circle also looks to encourage and support our National Conferences and multicultural units in training/capacity building among CALD communities. I encourage you to share the ideas and resources already employed around the synods and presbyteries on our Circle portals. What programs have you used and how effective have they been in leadership development and conflict management and other areas? Or even if there are specific needs in your area of ministry, post the request on the Circle platforms and begin networking.